I've been passing this doorway for years, and always vaguely wondered about its history. Presumably, the doorway is the last remnants of this building, but going from the doorway, it must have looked pretty grand on it's own. I thought that it was a stone carved detail, due to the colour, now it looks a bit like a metal fixture? As far as i can gather, 219 Byres Road has always been the entrance to residential property. 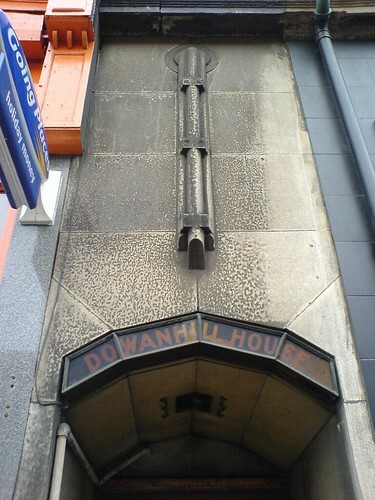 "Dowanhill House was one of the first developments in what was then known as the new estate of Dowanhill, and what we now of course know as Glasgow's West End" is purely an error, as they refer to it in the previous paragraph as Dowanside House, and the property is not on, or directly adjacent to, Byres Road. From the picture it looks like the stone "pole" once held a sign of some description. A sign that said "Dowanhill House" no doubt. Why a lackluster tenement block dating from the 1870's would suddenly proclaim itself as "Dowanhill House" in the 1930's is a mystery. Perhaps some photos of 219 Byres Road circa 1930/40's would help? Purely conjecture !. Is the sign maybe a reference to a business or lodge that may have operated out of a converted flat in the close ? Dowanhill House was a restaurant and dining rooms located above the entrance that is in the photograph above, you used to climb the stairs, to the first landing, where the entrance to the Kelvin Rooms was, Toilets and the cashiers position, there was a short flight of stairs then to the main dining room. This overlooked Byres road and was all very formal, oak panelling, silver service, staff formally dressed etc. On Byers road, underneath and to the south, was the Talisman, a more informal coffee house, high stools and counters in orange and brown, it was converted to a “City Bakeries” sometime around 1974 and I don’t think the dining room or the Kelvin rooms opened again. My sister had her Wedding reception in the Kelvin Rooms in 1972, it was a large set of rooms with partition dividers that covered the area front to back, except the dining room and north and south to the next closes where there were exits, these looked like regular entrances to flats from the outside. My mother worked there as the cashier in the sixties and seventies, after they closed down the place got cleared out and as well as some spectacular mirrors she has still got some bits and bobs with “DH” on them kicking around. I will ask her what the architectural feature above the front door is next time we speak, I remember there being some type of sign but I can’t quite remember what. Hmm ... I think this was immediately to the north, above the Oxfam shop and currently home to the Click/ Munro empire, which had a City Bakeries beneath. I think the very narrow close mouth we are talking about has always been residential. But, since the Mitchell is closed, I can't drop in and verify. 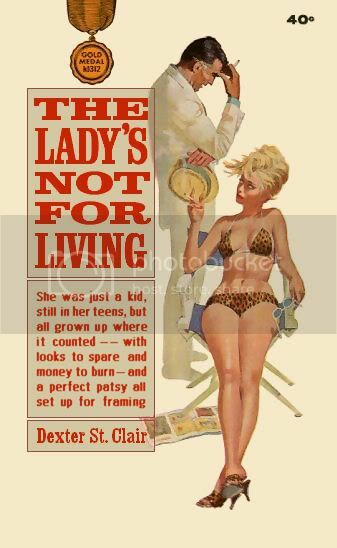 Dexter St. Clair wrote: Today I think. I’ve been calling the general enquiries line all this morning; does anyone know if the Mitchell is completely open today? I quite fancy a bit of a shift in the Glasgow room after work. I heard on the news this morning it is open tim!! It's a bit dusty but it is open.